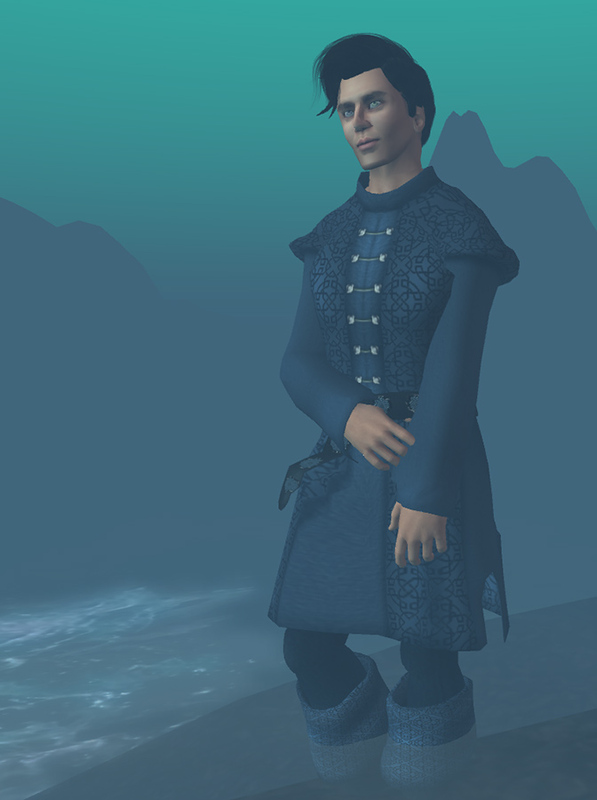 Looking for a nice medieval sim in Second Life when your connection has decided to go back to the 1200 BAUD days is really, really difficult. Really, it is. That said, one quagmire lag filled thirty minutes, then a fifteen minute hiatus from the Internet later produced this picture and blog. You see how dedicated some people can be to this stuff? 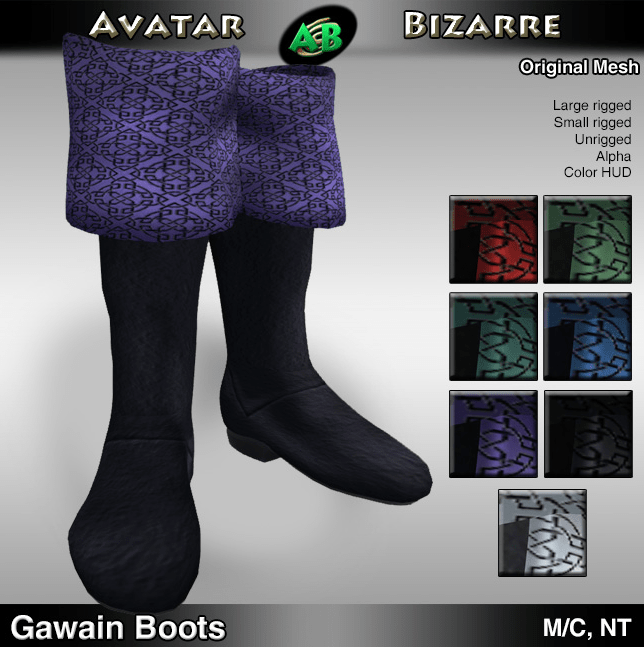 The Gawain, named for one of King Arthur’s fine Camelot knights, is the latest outfit from Avatar Bizarre. It features a color HUD with seven color choices (red, green, teal, blue, purple, black, and white), an Omega pants applier HUD for the various mesh bodies out there (check out the Omega blog for a list of compatible bodies), seven system layer underpants, an alpha, five sizes, and materials. This is available for women, as well. This will debut at Genre. As Genre is one of those super awesome shopping events where you can get deep discounts on new things, you can buy this wonderful outfit for 100L, starting March 15. Once this round of Genre is over, the price goes up. Oh, and I almost forgot! In addition to this outfit, there will be a pair of nifty boots at Genre for 99L (regular price is 175:). These are brand new, made with the Gawain in mind. They were built to go over system layers or Omega layers. They may have a little difficulty with mesh pants. These come with a large and a small rigged pair, along with an unrigged pair, an alpha, and a color HUD.